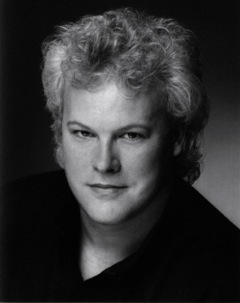 John Chevallier possesses the attributes of a bygone age of golden-voiced tenors. Conductors, colleagues and other professionals describe him as “The real thing... a tenor’s tenor”, having “...a first class instrument” and with “... a consistently exciting color throughout”. Gleaming with stentorian brilliance and grace, his repertoire encompasses not only the dramatic, but the spinto-dramatic, spinto-lyric and lyric as well. He commands the lead roles in such varied works as Otello, Tosca, Carmen and La Boheme. While displaying the lustrous timbre of a dramatic voice, he proves that warmth and suppleness are as native to his arsenal of vocal talents as are his easy and confident top, full middle and lower registers. Tall, athletic and broadly educated, he embodies a wealth of insight and natural abilities that extend well beyond an operatic tenor’s purview. With B.A.s in Philosophy and Drama combined with a lifelong involvement in various sports, including collegiate boxing, he brings to his roles along with his musical training all the skills necessary to create vivid three-dimensional portrayals on the stage. Originally trained as a classical actor, there is a strong dramatic presence in Mr. Chevallier more usually encountered in the theatre than in the opera house. His thorough physical characterizations extend from his training in the theatre and specifically the disciplines of Ballet, Mime and Stage Combat. Fortunate enough to have apprenticed at the world famous Circle in the Square theatre in New York City early in his dramatic career, there is a uniquely full-bodied experience of such roles as Canio in I Pagliacci, the title role of Andrea Chénier or Carmen’s Don José. His passionate and uniquely crafted characterizations demonstrate a sublime and powerful partnering of the vocal splendors of another era with the refined dramatic sensibilities of our own. A six city tour of Taiwan with a triumphant final evening before the country’s President at Asia’s most prestigious concert hall, the National Theatre in Taipei. The title role in the world premier of Santo Domingo De Guzman, by invitation of the work’s composer, Antonio Braga for the Teatro Nacional in Santo Domingo. An evening of Italian Operatic Arias and Art-songs with the Calgary Philharmonic. Previous appearances with Center Stage Opera include Radames in Aida and the title role in Andrea Chenier.